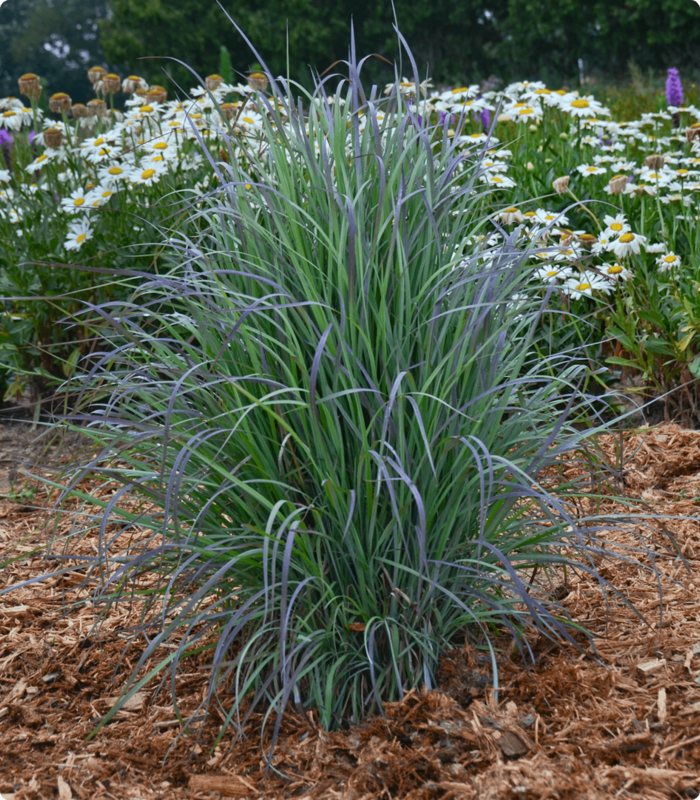 Twilight Zone Little Bluestem has an intriguing almost iridescent look to it beginning midsummer when a silvery purplish cast overtakes the blue-hued foliage. This Little Bluestem has an upright habit growing 4 – 4.5 feet in height when in bloom and 2 feet in width. Requires full sun. Drought tolerant once established. Deer resistant. Native.